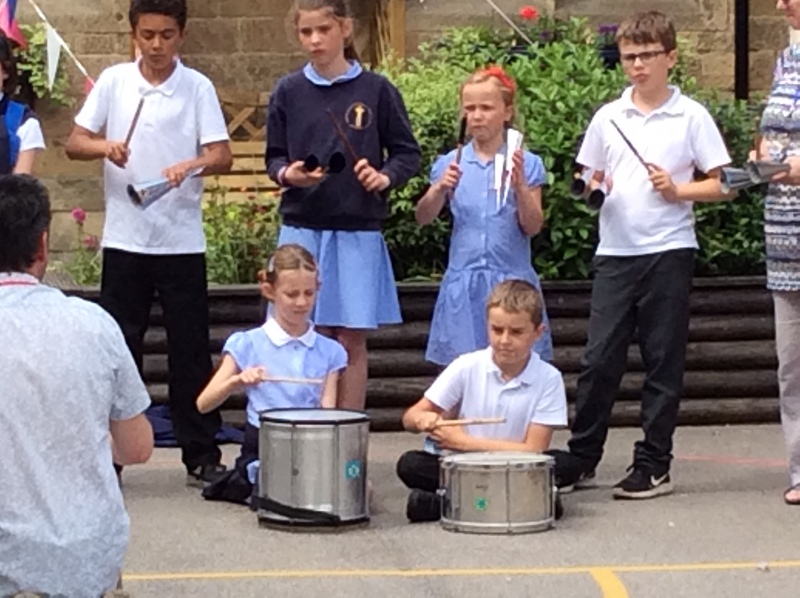 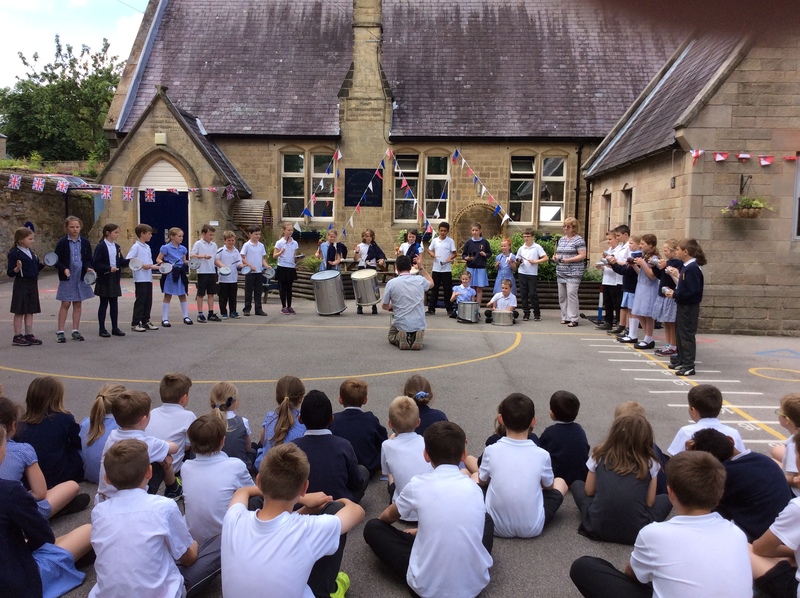 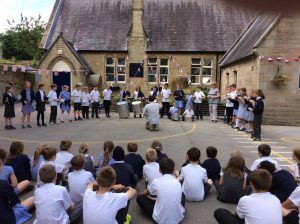 Brazilian drumming brought out the beat in everyone! We learn a range of instruments though the Wider Opportunities Scheme – we’ve learnt the fife, clarinet, trumpet and this year its the violin. We’ve also joined other schools is a performance at the Arena in Derby. 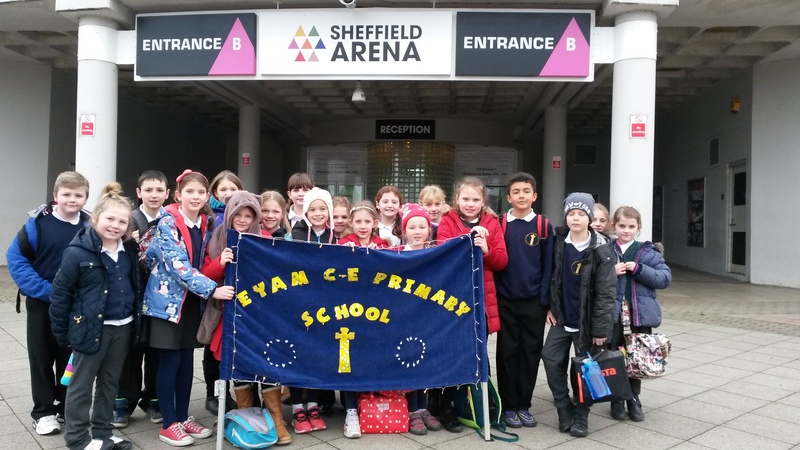 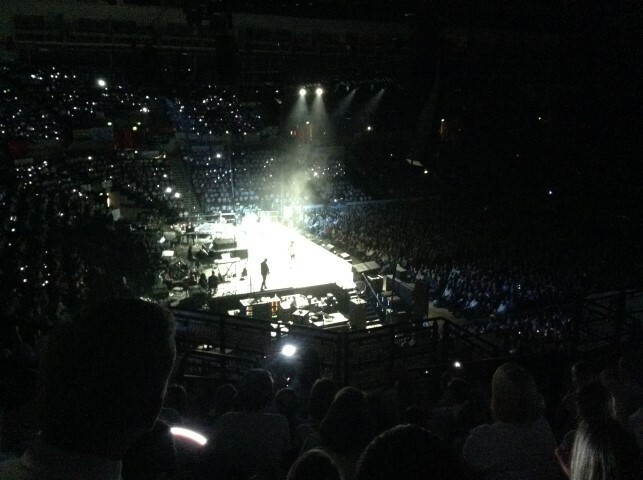 We take a class to the amazing Young Voices event at the Sheffield Arena where we join a choir of 1000s – along with a pop band and celebrities. 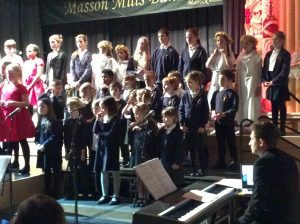 Are you interested in singing in a choir? 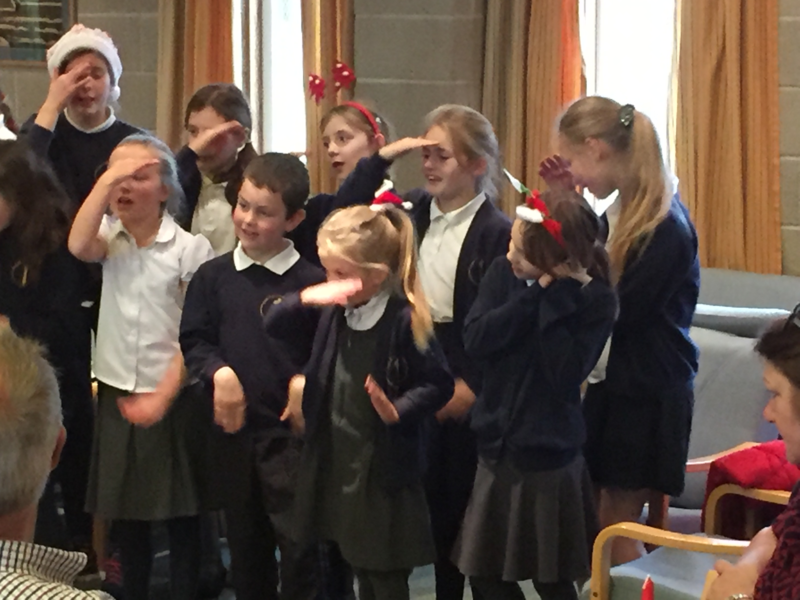 We’ve sung at the Winding Wheel in Chesterfield along with the famous local youth choir Perfect Pitch who appeared on national TV in the semi-finals of ‘Britains got Talet’ in 2017! We have children who sing in that choir too. 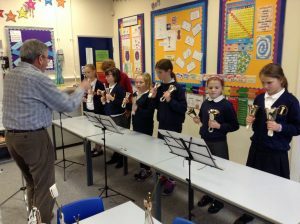 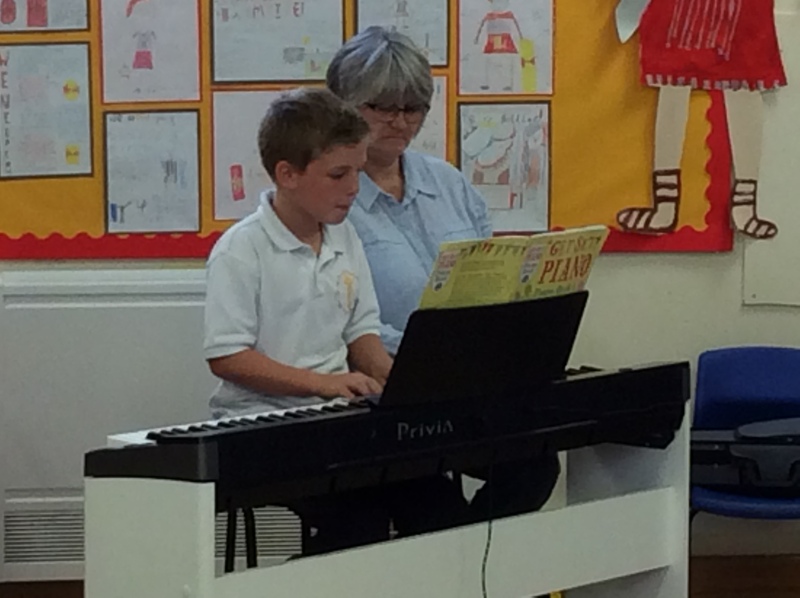 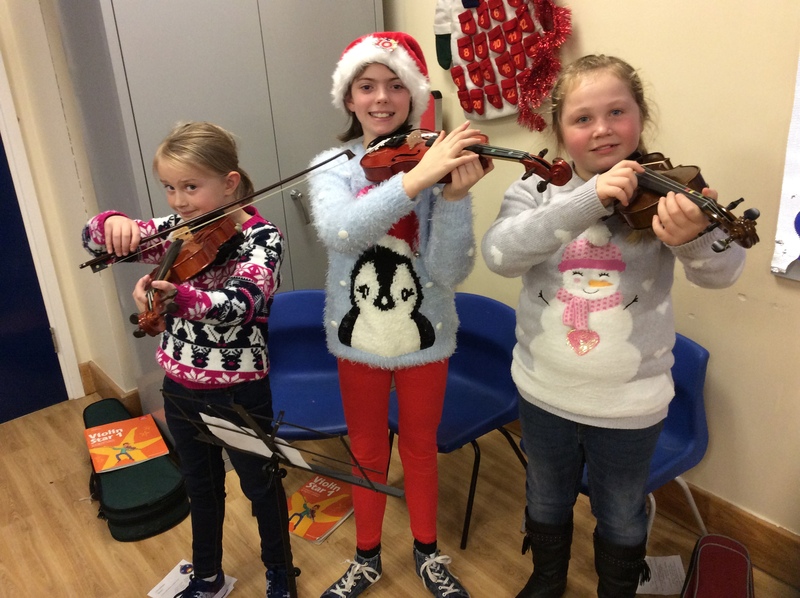 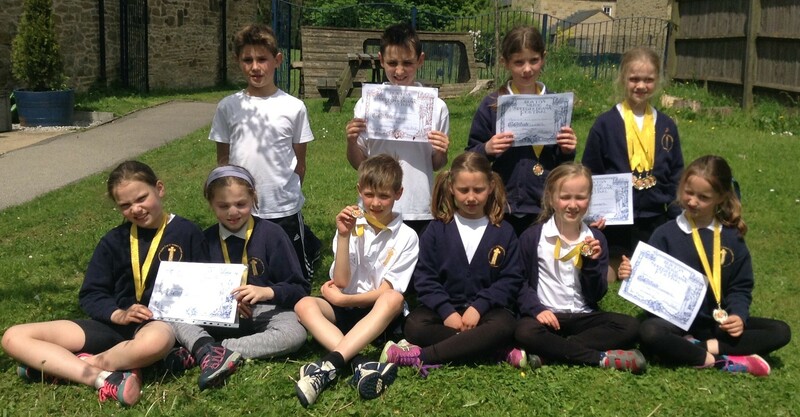 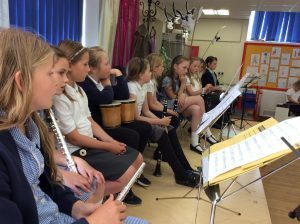 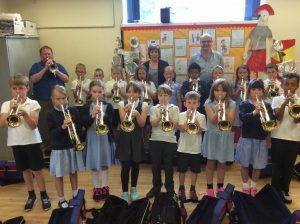 We now have a wide range of music lessons on offer through the Derbyshire Music Partnership, these include: violin, piano, cello, clarinet and flute, trumpet, ukulele and guitar. 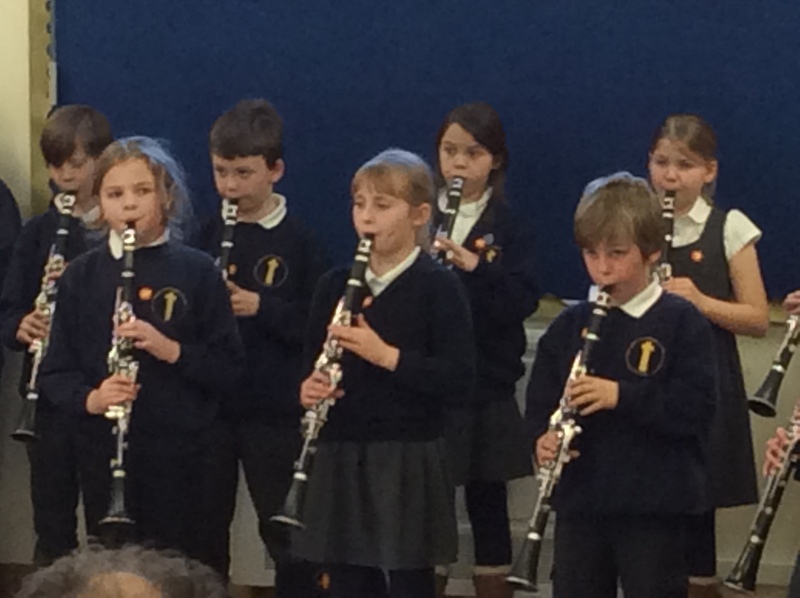 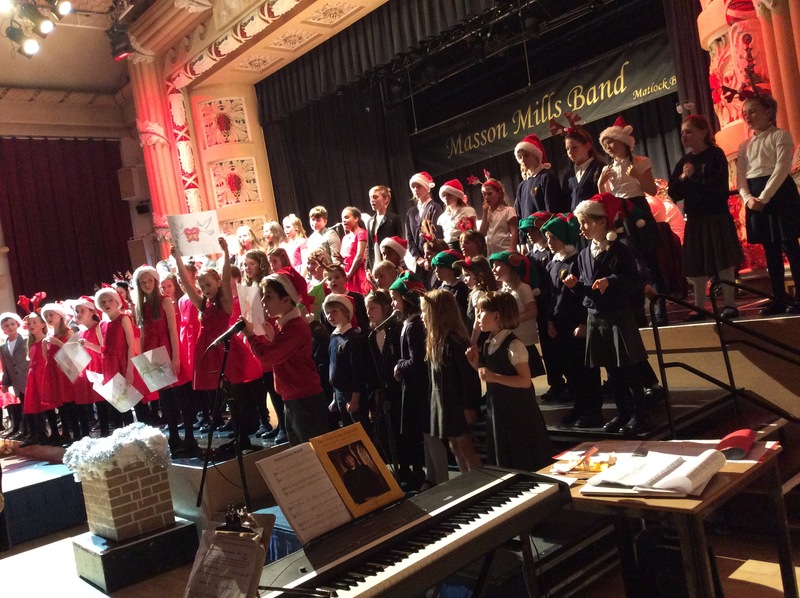 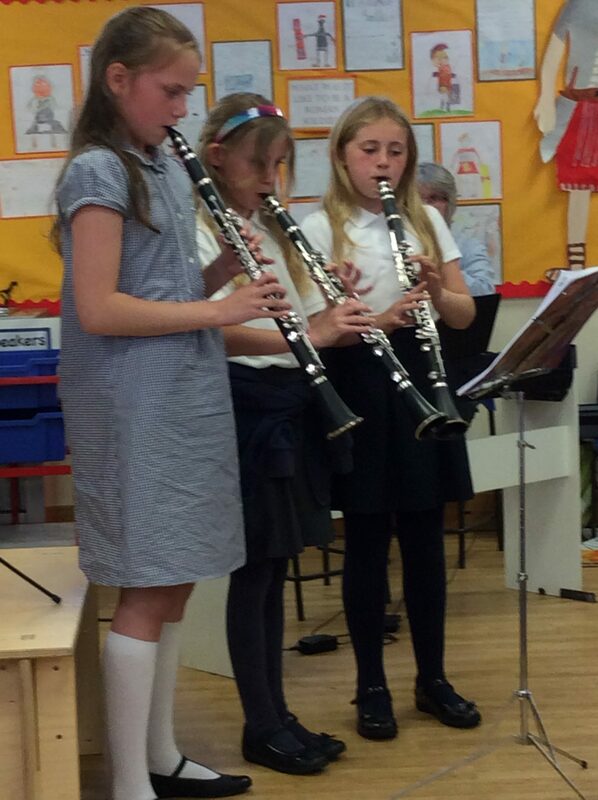 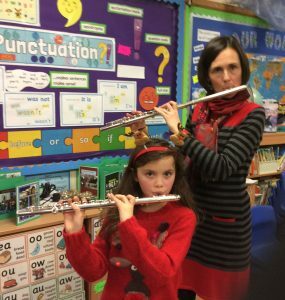 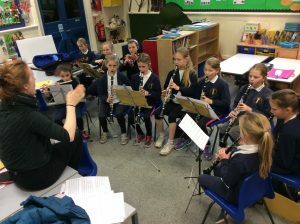 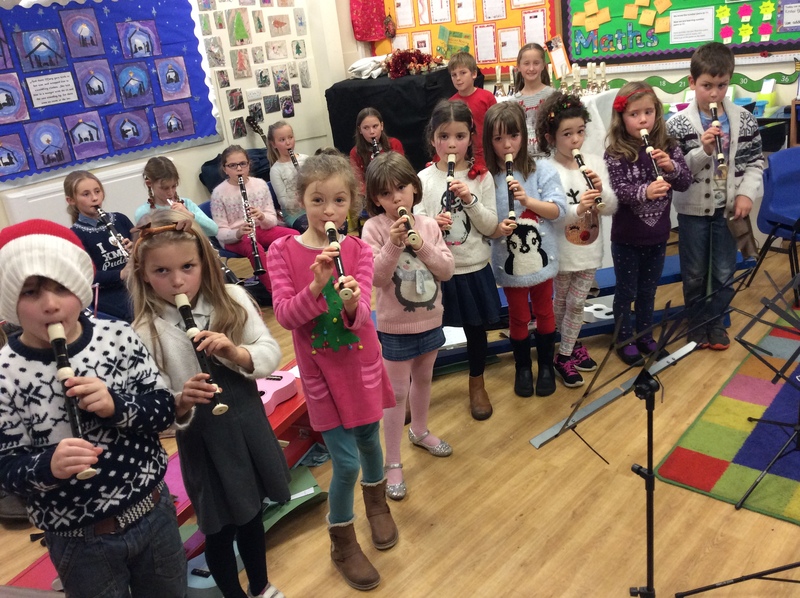 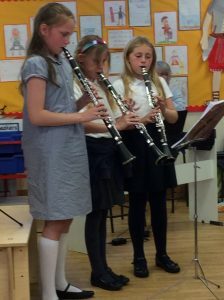 Our children are proud to perform at the annual Christmas and Summer concerts and as you can see we also have a budding ‘band’ and a recorder group. 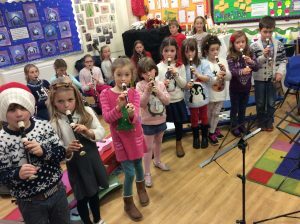 Our youngest learners have taken part in Musical Gems this year which involved a partnership project with pre-school pupils and plenty of dancing and singing and clapping! 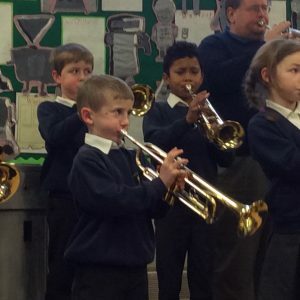 AS if that’s not enough we also have an amazing bells group who play at church in the Christmas service and always move us to tears of joy and wonder.